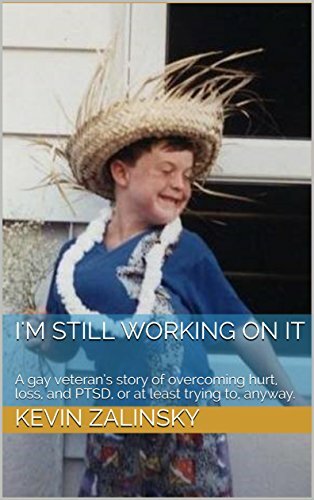 I’m Still Working on It: A gay veteran’s story of overcoming hurt, loss, and PTSD, or at least trying to, anyway. A gay veteran, after serving in the U.S. Navy for eleven years, returns to the civilian world with a determination to overcome the traumas of his past – sexual assault, bouts of alcoholism, the death of his father, his brother’s suicide – while adjusting to a new life out of uniform. With humor and the help of his loving, hysterical, and “sometimes” dysfunctional family, he’ll clear the hurdle of PTSD and get back to happy, or at least try to, anyway. 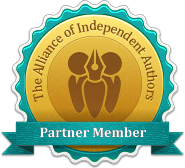 Join him on his exhilarating adventures to such breathtaking locales as a slum in India, a Thai red-light district, the airport in Newark, New Jersey, and even an Alcoholics Anonymous meeting in the storage room of a community center…in beautiful Hawaii!